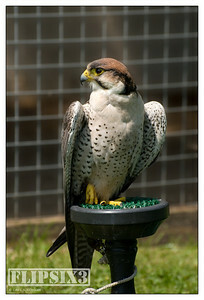 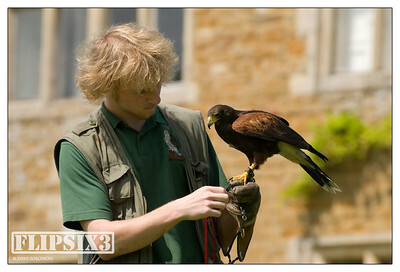 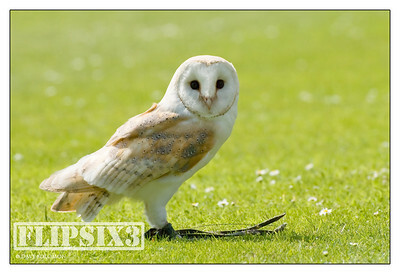 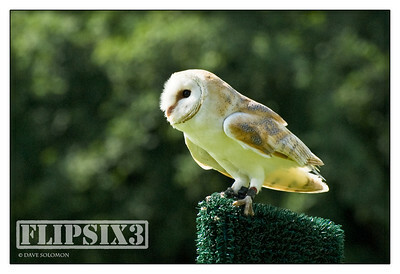 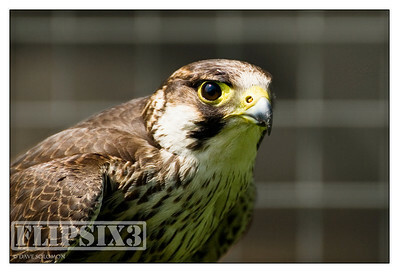 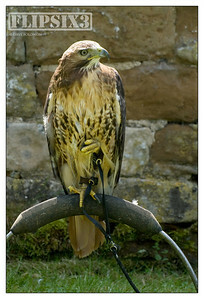 Situated at Holdenby Hall in Northamptonshire, and a great place to get close to these fantastic birds. 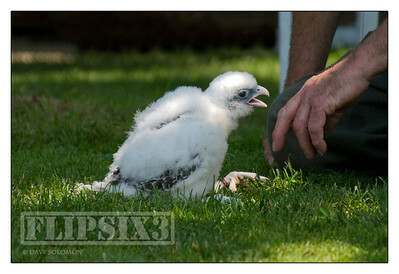 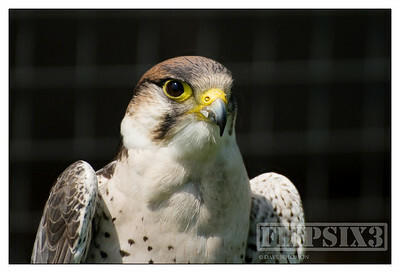 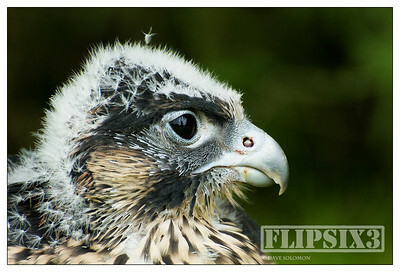 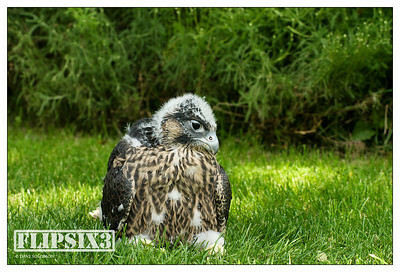 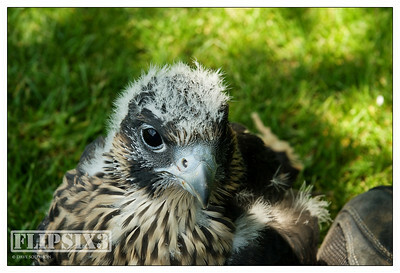 This two week old Gyr Falcon 'chick' was in the process of being imprinted to human contact. 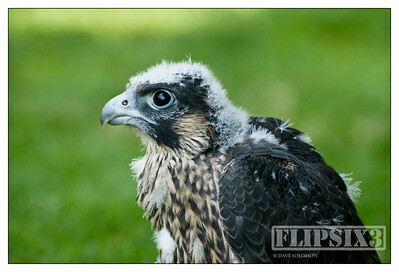 At five weeks old this young Peregrine is already starting to have the look of the true predator it will become - despite the fluff! 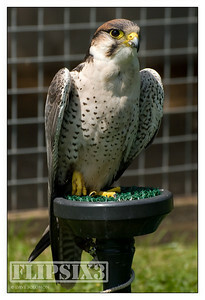 Yes, that's my foot in the shot. 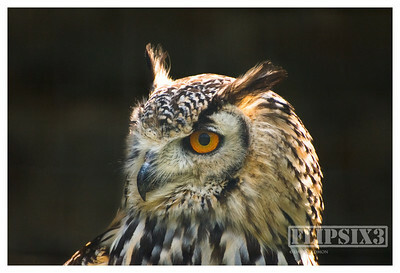 The bird sat up against it for almost 30 minute, allowing me to take some great shots - this one an uncropped frame at 70mm.